Home | Discount Leotards ™ > Gymnastics Leotards > Trolls Minions Leotards > E3767 Fluffy The Unicorn from Despicable Me 3 - Sublimated subfuse tank gymnastics leotard. E3767 Fluffy The Unicorn from Despicable Me 3 - Sublimated subfuse tank gymnastics leotard. 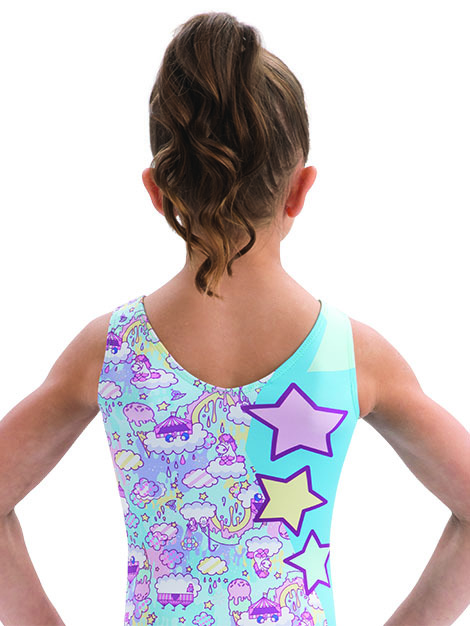 E3767 V-neck tank sublimated leotard featuring Fluffy The Unicorn from Despicable Me 3. Despicable Me, Minion Made and all related marks and characters are trademarks and copyrights of Universal Studios Licensing LLC. All Rights Reserved.